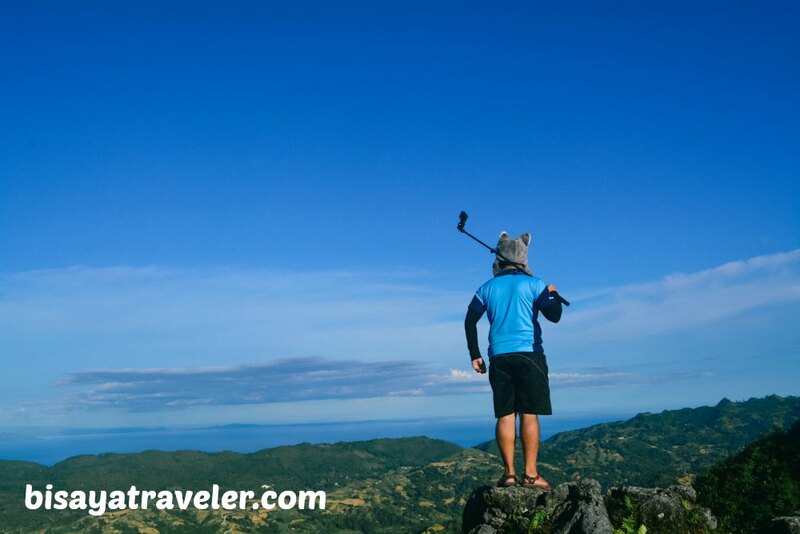 Dalaguete is, for me, a breath-snatching adventure wonderland hard-wired for the intrepid and wide-eyed hiking enthusiast. 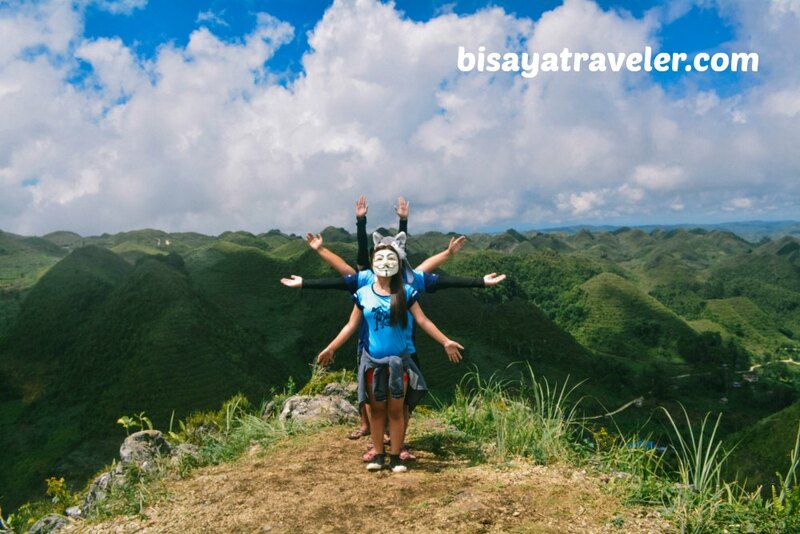 Famed for its chilly atmosphere, collection of towering peaks and heavenly scenery, this beloved town beckons travelers who are yearning for a healthy dose of fun and adventure. 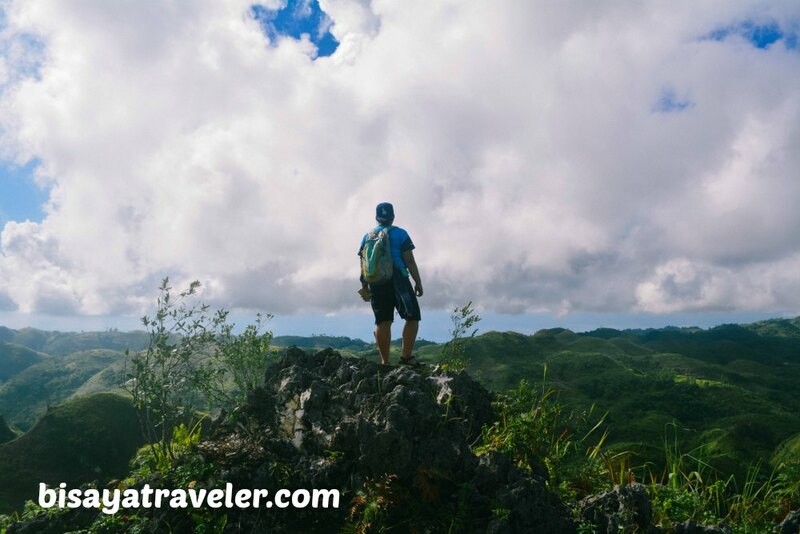 Whether you’re an avid shutterbug or a bona fide outdoor guru, you’ll definitely love the enthralling hiking experiences that Dalaguete has to offer. From my high school days in Don Bosco to my recent adventures with Team Bang, I’ve had the privilege of scaling the beautiful peaks in Dalaguete on numerous occasions. And normally, I only hit a peak or two, whenever I set foot on Dalaguete for a hike. But one day, an ambitious and crazy idea came into mind, as I was planning my next hiking trip. Inspired by James Glendon’s Dalaguete 4-peaks-in-1-day hike, I was on a mission to chase 5 to 7 peaks in Dalaguete in just one day. Don’t get me wrong – I’m not playing a game of one-upmanship with James. He is, hands down, a good friend and a trustworthy, brainy travel buddy with an endless array of catchy hugot lines. But, I knew for a fact that scaling a bunch of peaks in Dalaguete can bolster my confidence as well as give me a sense of fulfillment. Plus, I was also determined to catch sight of Casino Peak, without the mist and fog, on a clear sunny day. 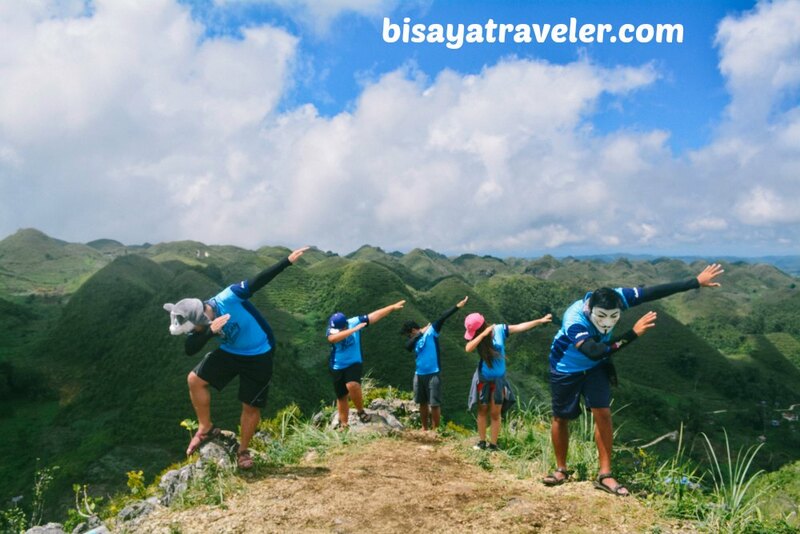 Unlike most of my crew’s trip, only a few Team Bang mainstays were available for this hiking escapade – Gelique, Wilfred, Coach Ren, Beth and RJ. 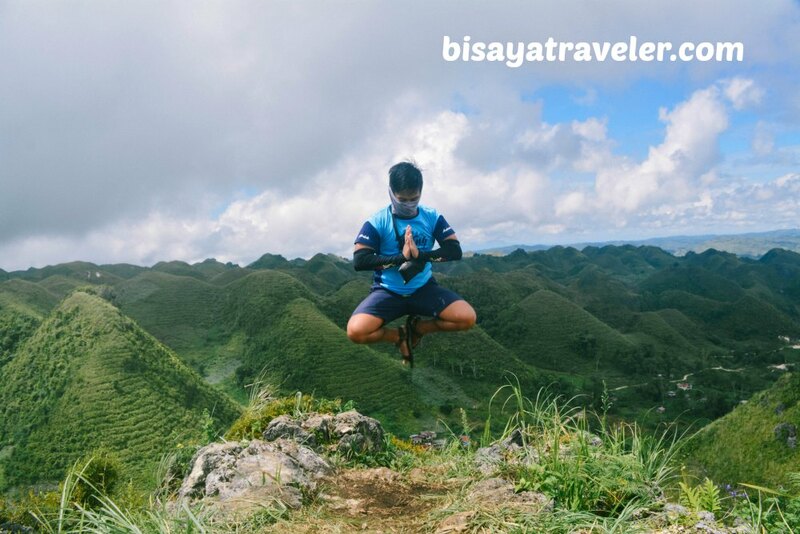 Thankfully, there were six other local adventurists who accepted our invitation for our Dalaguete hike – Jon, Shiela, Jovy, Juan, the graceful one Cherwinn, as well as the renowned Instagrammer Marc Jonell, or AKA “The Weekday Traveler”. To reduce our transportation expenses, we opted to rent a multi-cab with Boss Patring as our driver, for the entire day. As I’ve said before, habal-habal rides from Poblacion, Dalaguete can very often cost you a great deal of money. 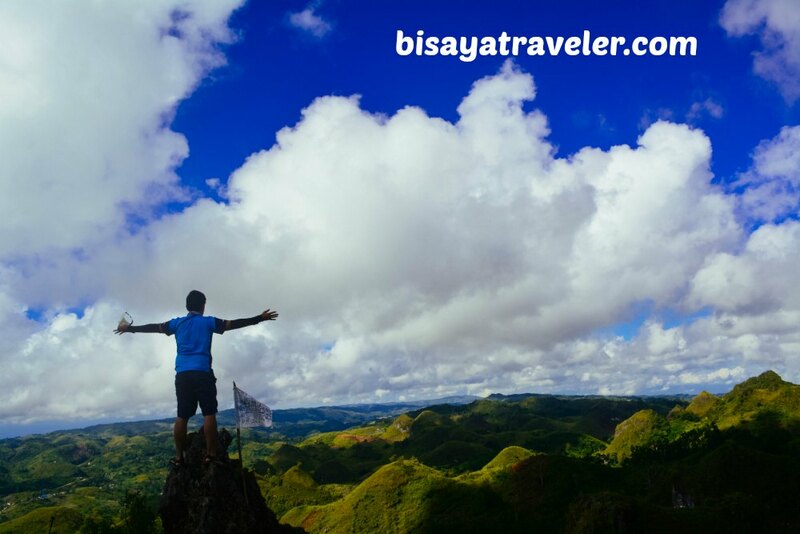 With our unique itinerary, it would likely cost us around PHP 500 to 800 per person to hit all the spots in our list. But since we took the smarter and cheaper alternative, we just spent PHP 250 for a whole day’s worth of transportation in Dalaguete. At first, it felt a little awkward, with all the different faces in the group. After all, it’s been a while since I’ve invited more than 4 newly-met people on my hikes. But as we got closer to our first stop, Tabon Peak, our conversations got deeper and more interesting. And eventually, we were laughing and talking to one another as if we’ve known each other for years. I guess that’s what happens, when you put together a group of like-minded strangers. As they say, birds of the same feather make a good feather duster.LOL! Upon our arrival, we wasted no time, and looked for the trail to Tabon Peak in Tabon, Dalaguete. 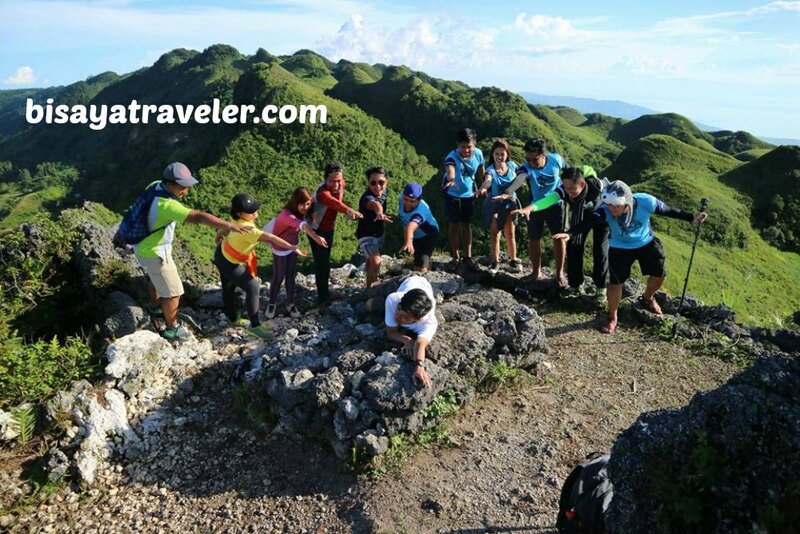 Afterwards, we took a short climb to the summit of our first destination – Tabon Peak. The trail to Tabon Peak was, for me, rather short and easy. But, some of the squad’s members did have some problems, going up and down, with its steep slope and loose soil. As for the view, it was pretty impressive and Instagrammable. 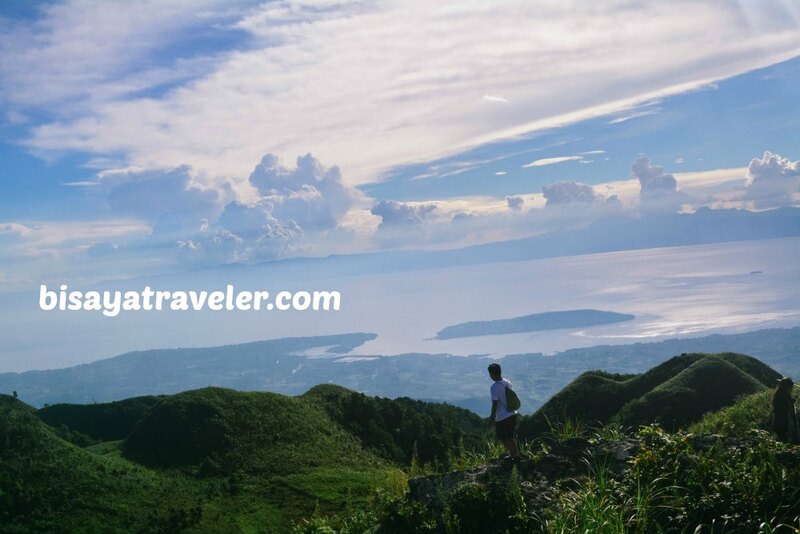 While I’ve seen views more jaw-dropping than this one before, I was still impressed the panoramas offered by Tabon Peak. As always, I snapped a shot of Team Bang’s trademark pose on the summit. Likewise, I got a solo picture with my favorite Guy Fawkes mask on. 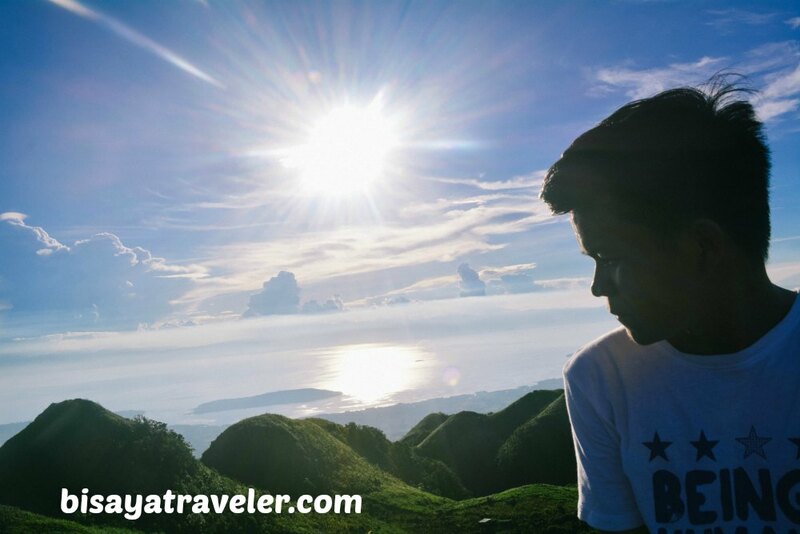 With the first peak in the books, it was time to move on to our next destination in our Dalaguete weekend getaway – the extremely scenic Casino Peak. With Boss Patring on the driver’s seat, we took on the rough road leading to Casino Peak. From time to time, we, the boys of the squad, have to jump off the multi-cab to prevent any mishaps on the supremely bumpy spots on the road. The boys did enjoy every minute of our walk, though, thanks to the unique and photogenic rock formations in the area. As a matter of fact, we even decided to climb on these rocks, so we can get plenty of awesome photographs. But, as we were making our way to the rocks, Marc all of a sudden slipped, causing a small yet nasty cut on his right forearm. It wasn’t alarming or serious, and Marc, like a Spartan hiker that he is, just shook it off, and said “it’s just a battle scar”. Luckily, there was a well-prepared girl scout in the group, Jovy, who brought a first aid kit. On the way to the Casino Peak, a familiar face came into sight riding a sturdy motorcycle. 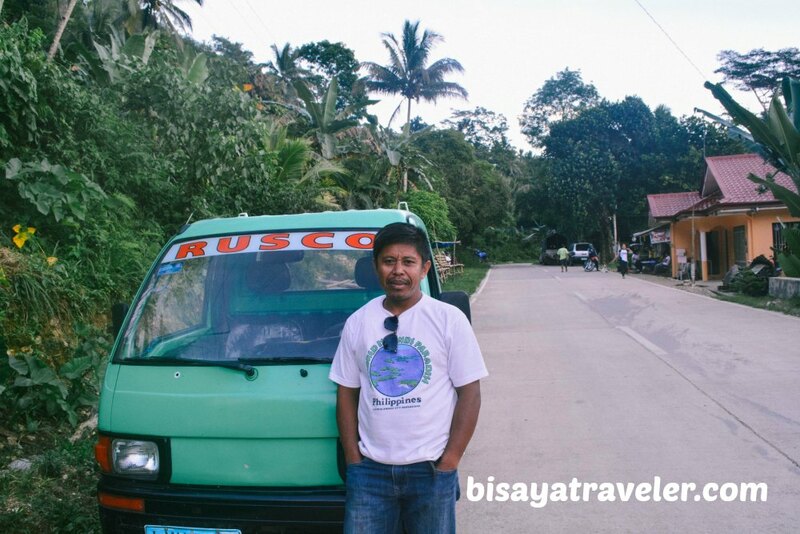 As it turned out, it was the barangay councilor and the leader of a group of drivers in Mantalungon, whom we met during our first hike in Casino Peak. We had a quick chat with the councilor, talking about the recent surge of visitors in Casino Peak. Before we parted ways, he thanked me for helping him and his group’s members acquire more passengers to Casino Peak. Of course, I was delighted to know that one of my micro-adventures has made a small yet positive impact to their community. Moments later, we arrived at the base of Casino Peak, where a new signboard greeted us. After registering, we passed by its rocky trail and ascended to the top of Casino Peak, Dalaguete. This time, there was no horny or mean goat around to scare the daylights out of us. And finally, we got see the real beauty of Casino Peak, without the thick fogs, mist and downpours. I must say it was quite a sight, though it wasn’t my first time seeing it. From group poses to jump shots, we took a plethora of photographs on the summit. Everyone, even the shy ones, was obliged to strike a pose from a variety of angles on the peak. But, as far as I’m concerned, the best past part of our climb to this peak was Cherwinn unveiling his new addictive tag line “graceful”, which set the tone and added an element of humor to whole trip. From that moment on, everything was just fun and downright graceful. Quite a tag line, I must say. Thanks for that, Cherwinn – the newly dubbed Grace-Fool Wanderer. 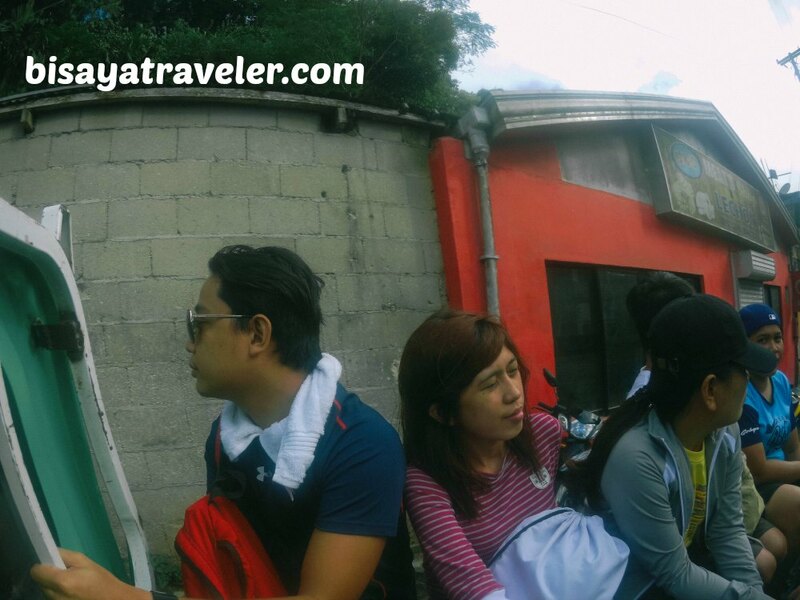 We, then, descended to swing by one of the best surprises of our Dalaguete trip. 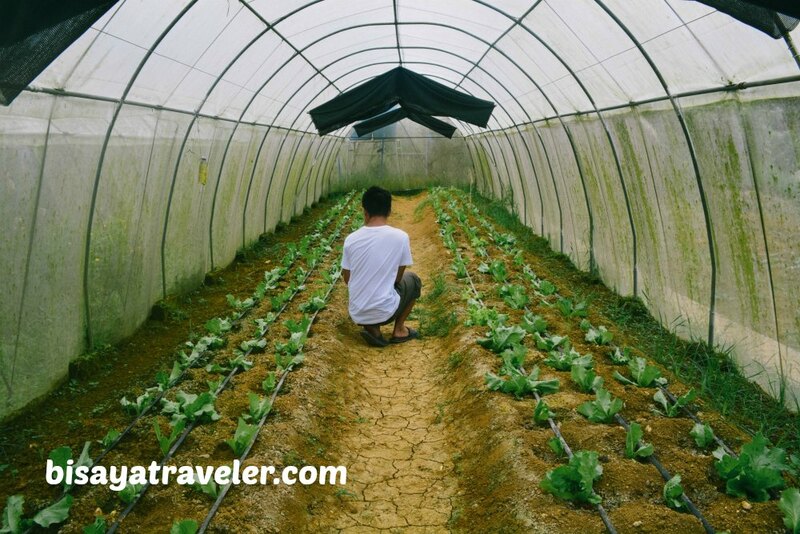 The Techno Farm was a last-minute addition to our Dalaguete travel itinerary. The night prior to our trip, Beth sent a photo of the eye-catching blooms of the farm via Facebook messenger. Enthralled and intrigued by the floral display, I instantly added it to our travel plans. Even though it’s not a scenic and challenging peak, I still enjoyed our quick layover to the Techno Farm in Dalaguete. 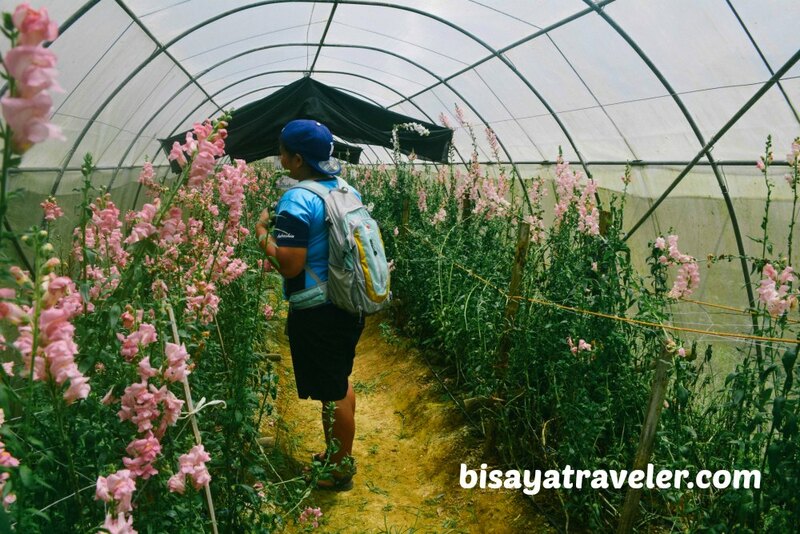 Not only was it a visually enticing place, but I also learned a couple of things about the farm and its charming flower – the Snapdragon, which usually doesn’t flourish on tropical soils. According to the caretaker, the farm and the flowers are still on the experimental stages. Through our chit-chats with the caretaker, we’ve discovered that Mantalongon, Dalaguete is one of the two places in the Philippines (the other one is Benguet) to breed this type of flower. And, if the experiment goes well, the town’s LGU will build a bigger farm, and make it an attraction in Mantalongon, Dalaguete, Cebu. 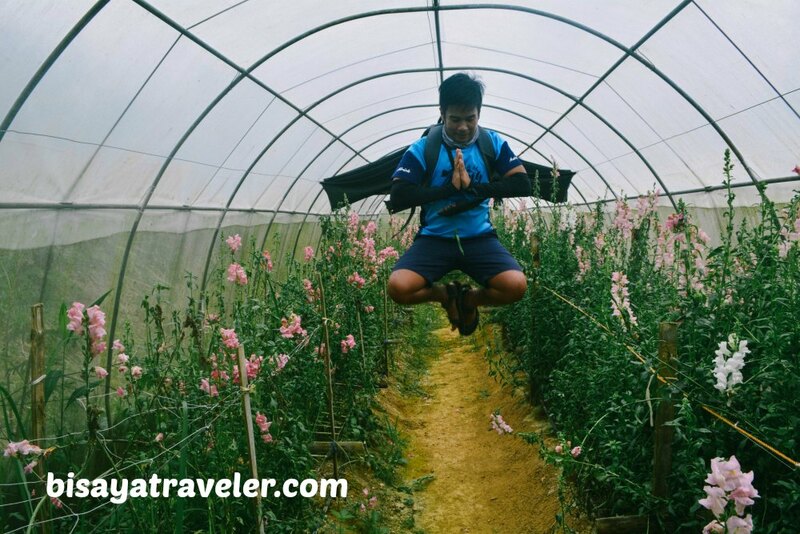 Watch out Sirao Flower Farms! And, there were also other beautiful flowers and vegetables displayed inside the farm. As you can see, the Grace-Fool Wanderer made a pose in one of the areas of Techno Farm. As for the entrance fee, the farm can be accessed and enjoyed for everyone’s favorite price of zero pesos. Yes folks, it’s free, as of now! After our visit to Techno Farm, we headed to Mantalongon Market, to grab some lunch and refill our water bottles. 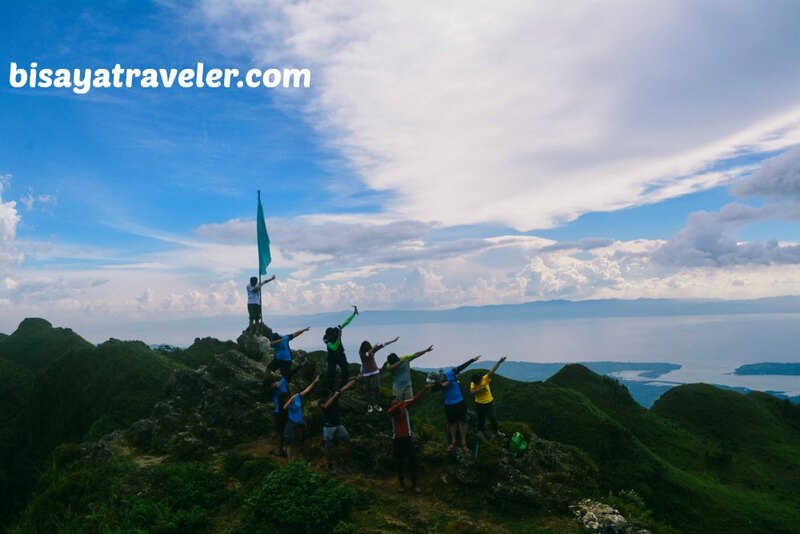 With our stomachs and energy replenished, we drove to Maloray, Dalaguete, to hike one of my favorite mountains in Cebu – Kandungaw Peak. Upon our arrival at the peak’s base, we registered our names, paid the fees, and commenced on our hike. Usually, the hike to Kandungaw Peak via Maloray, Dalaguete starts with the lengthy concrete stairs, which can be rather painful on the knees. But on the bright side, our guide was a familiar with a different path leading to these gorgeous peaks in Dalaguete. All in all, the Maloray trail is a much shorter and easier path to Kandungaw, as compared to the Badian trail. Personally, I prefer the Badian trail since it’s a bit more challenging and picturesque. 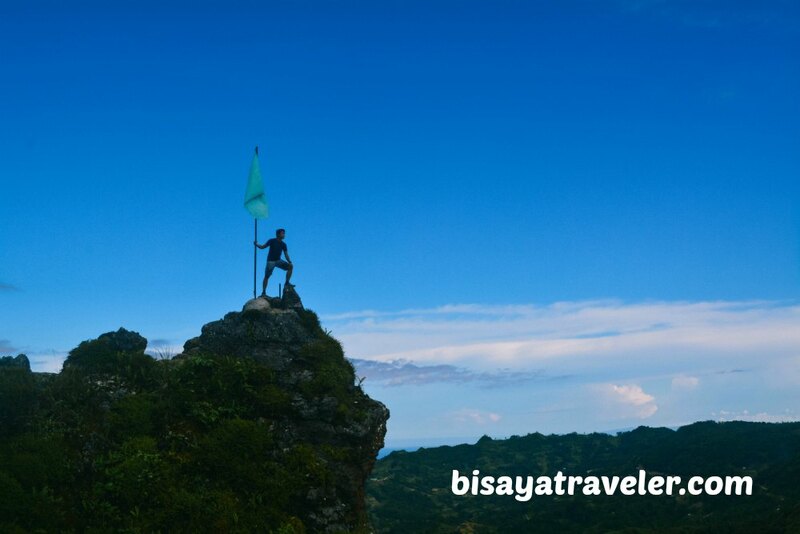 What’s more, the trail includes a stop to an underrated mountain in Cebu – Dalas-ag Peak. Moments later, we arrived at the pinnacle, where we all swept away into bliss by its awe-inspiring vistas. Although I’ve scaled Kandungaw Peak twice before via Badian, I still can’t get enough of these mesmerizing panoramas. 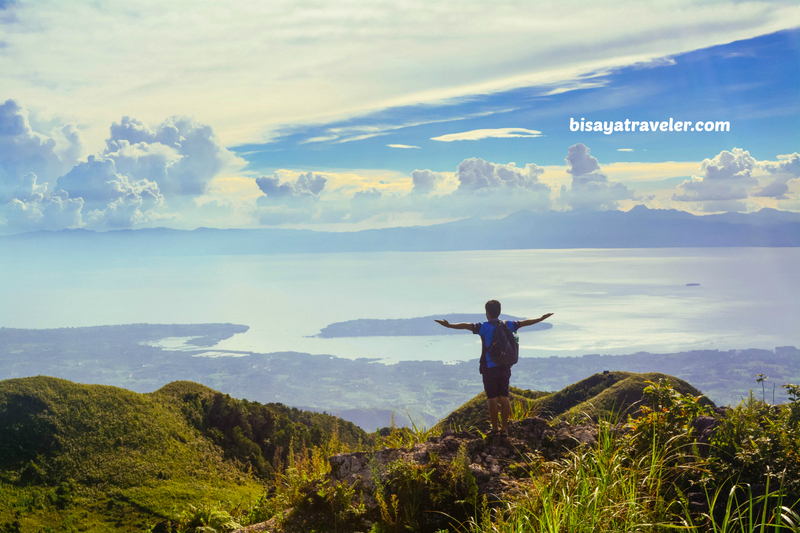 It’s one of the few peaks in Cebu where you can enjoy 360-degree views of Badian Island, Negros, Argao and Bohol. On a clear day like our day hike, you can even see the lofty skyscrapers of metro Cebu from this vantage point. Don’t believe me? Just ask my fellow Team Bang members. They even said that Cebu City felt like just a stone throw’s away, though technically it will take more than 3 hours of travel to get to the city from Kandungaw. As with most of our group hikes, we took turns posing on the summit. 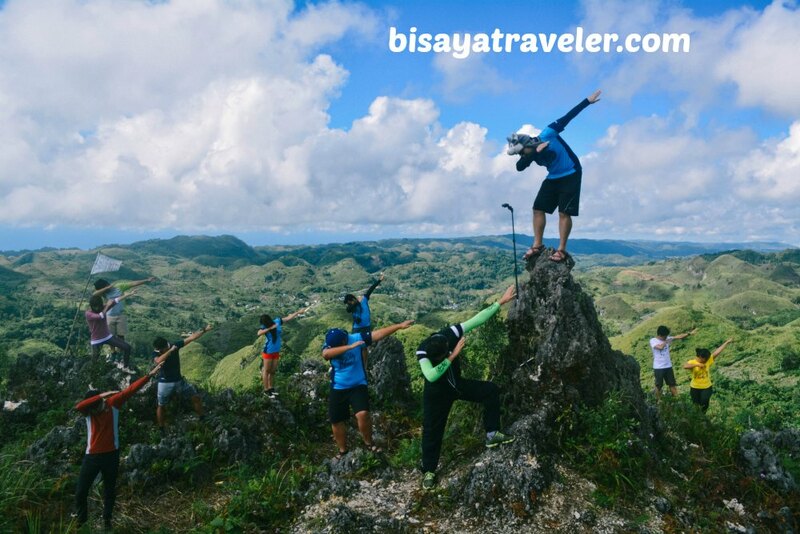 If there was a contest for the best pose in Kandungaw Peak, the clear-cut winner would be Jon, who bested Predu Wolf’s jump shot and the Grace-Fool Wanderer’s raunchy pose on the flag pole. As we were making our way to our next peak, a trio of awesome female hikers reached out to me, and asked me about my future hikes. I didn’t get their contact numbers, and hopefully, they will contact me through Facebook, so I can invite them in one of my future hikes. Once we’ve arrived at Sunset Peak, we paused for a while, and waited for the other group to wrap up their pictorials. Moments later, we scaled the mountain, and cherished the views from the top. We soaked up the scenery, breathed in fresh mountain air, and snapped dozens of photograph. The Grace-Fool Wanderer was as energetic and happy as a chimpanzee, climbing and leaping through the rocks with his bare feet. And, by the way, did I mention that he was just wearing a pair of slippers for this hike? Speaking of the Grace-Fool Wanderer, we also made a pose with him as the centerpiece of our photo. He said it was it his own grace-fool depiction of the Spolarium, but the way I see it, it was like the aftermath of the “Little Mermaid” being raped by a school of puffer fish. From there, we made a quick hike to the nearby Lover’s Peak, and admired the outstanding vistas. Needless to say, we took a glut of photographs on Lover’s Peak, including group shots and hilarious ones. The funniest photo was Juan’s jump shot, snapped by the Grace-Fool Wanderer. In my opinion, the Juan looked like a giant on the photo. With the sun about to set, we descended from Lover’s Peak, and made our way to the base, which capped off our fascinating Sunday adventure. For those interested in renting a cab in Dalaguete, you may contact Boss Patring’s daughter – Christina, through Facebook. Likewise, you may reach out to them through the following mobile numbers – 0946 022 7014 and 0912 277 5769. Bring at least 2 liters of water. Be a responsible traveler, and practice the LEAVE NO TRACE principles. Pack ion beverages like Gatorade and Pocari Sweat. Wear trekking shoes or sandals (ahem, the Grace-Fool Wanderer). Bring umbrella, armguards hat and sunscreen to protect your skin from the sun’s heat. Prepare your rain gear, in case of downpours. We didn’t get to our original target of hitting 7 peaks in Dalaguete. For some, it seems like a pipedream to hike 7 peaks in one day, but it was totally doable. 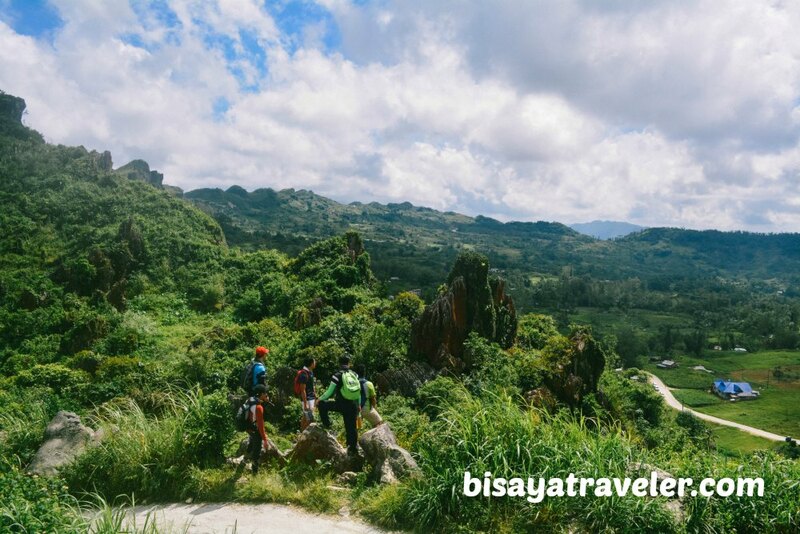 We could have easily hiked Osmeña Peak or traveled to Bandera Peak in a jiffy. But for me, savoring the moment of your adventure is far more rewarding than hitting a cluster of peaks. And besides, I absolutely had a blast, enjoying the company of my graceful hiking buddies. To top it all off, Juan made the hike so relaxing with his classic and nostalgic 90s Eraserheads tunes. PS: nag.doubt ko ug ikaw ba to ang ni.post sa past nga blog about casino peak (gwapo’g gwapa ra kaayo mo sa personal oi!! 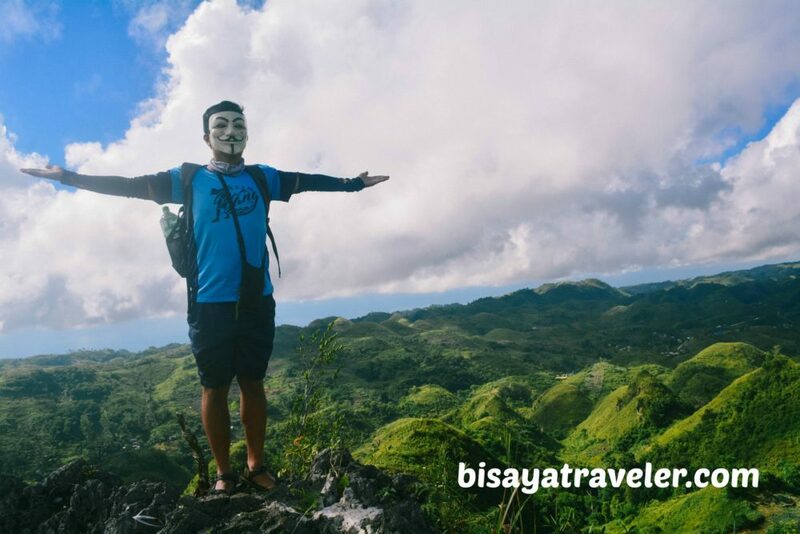 hahaha) but seeing this blog was the proof nga ikaw jud diay to “Bisaya Traveler.” Sayang wala lang ko naka.greet ninyo or just say thank you for all the blogs nga inyo gi.post #silentreader. Very helpful and hopefully magkakita ta balik sa asa ba mo sunod mang-laag ^_^. Salamat kaayu Brix..Kita kits next time..Ayaw lang kaulaw.. I am succumbed on how you portray the story very well sir plus the lively photos. I wish I could write like this, someday. haha! E revive to imung blog, Miss Teen..hehe 🙂 Kaya ra lagi na..
Kuya question, mu. guide ra pd ang driver or dili? Newbies but we’re quiet determined to do this . P. S. tanan namong climbs so far is base sa imong blog. Very reliable! Pwede raman siya mu guide, pero malooy sad ta..hehe Anyway, d man kailangan ug guide ang Casino Peak ug Tabon Peak. Ang Candongao, Sunset ug Lover’s ra. Naa raman sad guide didtu inig register ninyu.. Affordable ra. Thanks Zel, 🙂 Glad you like it. Actually, I linked her bio on the “Facebook” text. Buy anyway, here’s the link to her bio, https://www.facebook.com/kraeztinah.